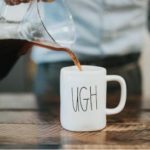 It’s a common issue that’s often encountered with remote teams –the tendency to feel disengaged. Remote workers often find themselves feeling like they’re separate from the company, and not really part of the team. While this is something that most companies with virtual staff tend to overlook, it’s an issue that should be at the forefront of our minds. A team that’s disjointed, and scattered –will be unable to work as effectively as one that’s united by a common vision. A company with workers who feel left on the outskirts, or ignored, will have far higher turnover rates than one with team members who feel valued –and whose contributions are recognized. But how can business owners and leaders who have virtual staff unite their workers –and help them to feel valuable? How can you help them to find a shared vision? That’s what we’re going to look at today. It’s estimated that the average employee contributes only 20% of their potential. This is tragic! Help your team to perform at their best by recognizing them, and working to create a company culture that’s open to your remote team. First, up, let’s take a look at some skills that can help you to successfully manage a remote workforce. Jim Mullaney, head of Edoc Service Inc., has shared his five pillars for creating a great workplace culture. It’s worth noting that Edoc Services is a firm that relies on remote teams exclusively. Jim’s team has been 100% virtual for nearly 20 years –long before virtual teams were popular –so it’s safe to say that he has a pretty good idea about managing and overseeing these types of teams. This may sound like corporate doublespeak to some. 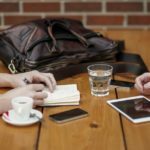 But at a closer glance, these pillars are things that every company can benefit from –whether they have a remote workforce or not. Jim accomplished this organizational feat long before the technological revolution that connected everyone. And there is a powerful lesson in that. A successful virtual culture goes far beyond selecting the right online tools or letting employees set their hours –these things are great, sure, but they aren’t enough to build a company culture around. Forward-Thinking Leadership“That whole ‘I’ve got to see you working or I won’t get my money’s worth’ attitude doesn’t work,” says Jim. Instead, he recruits self-managing professionals who are aligned with the company’s purpose. He also considers himself a steward, not an owner –a shift in perspective that’s no doubt reflected in his interactions with his team, and how he runs his company. Purpose and PrinciplesEach and every business decision must line up with the principles and purpose that you’ve set in place –no compromises, and no exceptions. A Team EnvironmentJim believes that many remote-based companies today make the mistake of basing their company around connective technology instead of on company culture –running the risk of alienating employees from the company. Value-Driven AutonomyFinally, Jim’s company Edoc empowers their team by giving them the freedom to make decisions. Since day one, he’s also been transparent with financials, allowing employees to know exactly where the company stands. “I believe this approach pays big dividends — it empowers people and they really feel a part of the company.” Edoc also works to provide a culture of learning, giving their virtual staff professional training each year. 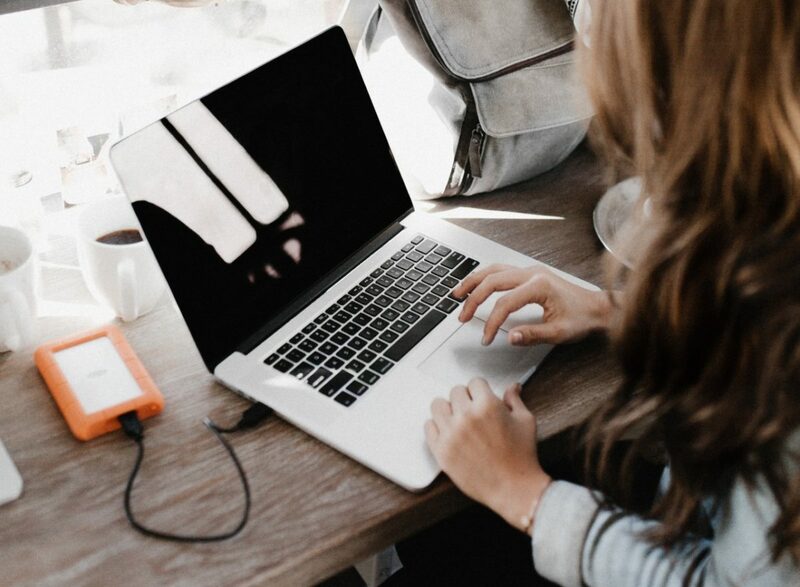 So how then can you create a workplace culture where even remote workers feel connected? It all starts with your company’s vision. The challenge, is finding a way to make your vision evolve beyond words on a whiteboard, and into a guide that you and your team members can get behind. A shared vision will always be a goal your company works towards. It provides teams –especially remote teams –specific objectives that offer step-by-step guidance for accomplishing essential goals. Developing a clear and well thought out vision statement will engage individual team members. It will help them understand how every decision they make can have a positive impact on the entire company. 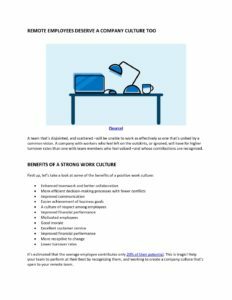 Get our Remote Employees Deserve a Company Culture Too Worksheet delivered right to your inbox. Getting people on the same page with your vision is hard, even when teams are working in the same space. And introducing remote teams adds a new dynamic, where alignment becomes increasingly difficult. In-office teams have the advantage of working in a shared space. There is a running narrative regarding goals and vision. Remote teams, on the other hand, are typically more utilitarian. Communication is focused more on day-to-day work responsibilities. Tasks are carried out via chat or video, rather than onsite, where in-depth conversations about vision typically occur. 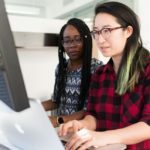 If remote teams streamline workflow and improve collaboration, it makes it much easier to work with in-office team members. As a result, all team members are working towards a shared company vision. Let’s explore some different strategies you can employ as a leader to overcome the challenges faced by remote teams. Here’s how to find alignment with your vision despite the distance. When starting a new company, you’ve probably spent considerable time and effort creating the vision and culture of a company. These early decisions are made in the interest of the company’s performance over time. Its purpose is to instill a deep level of drive and commitment. The execution of these principles, though, can be much different on the ground level. Specifically within team dynamics, regardless if they’re remote or in-office. There can be a lack of connection between leadership’s decisions or why the vision is an essential component of daily tasks. Your teams are there to work hard, but is there anything beyond that? Do they have any existential higher purpose or motivation? Design teams may say, “I’m just here as a creative,” and don’t give company vision much consideration. If you want your teams engaged with your company vision, the solution is simple: communication. Understand their perspective by asking about their overall job satisfaction, day-to day tasks, and thoughts on team collaboration. You want to get people engaged, and that means you’ll want to start by listening to their needs and expectations. Holding regular meetings is an excellent way to stay in touch with your team and communicate your expectations, as well as get valuable feedback. It can go a long way towards achieving buy-in and helping your team to connect how their daily tasks relate to the vision. Explain to your marketing team how their campaigns will influence buyer decisions and help your brand stand out from others. Educate customer support by providing them the knowledge to answer customer questions and offer valuable nutritional insights. Relay to your sales team that they aren’t selling another healthy snack to retailers; they’re selling a lifestyle choice customers and future brand devotees. Different teams will have different tasks, but taken as a whole, they all influence whether your company vision will be achieved. It’s a given that each team within your company is tasked with a goal. Maybe the remote marketing team is developing a new web strategy. Perhaps the remote sales team is out there executing the marketing team’s promotions. These are both excellent goals to be working towards; however, to align your teams behind your vision, their goals need to be aligned with your vision. Rather than focusing purely on short-term goals, you need to communicate your long-term vision and show your team how the smaller tasks fit in with that. Take for example a vision of adding value to your customer’s lives. That’s a massive undertaking. As a company, every department needs to understand how they contribute to the vision. What is their piece in the puzzle? By enabling your remote teams to flex their task-specific muscles in their respective departments, a positive feedback loop is created. Customers will understand that you are going to be a partner in their healthy lifestyle. From the business side of things, you’ll see positive changes in company metrics, blog and website traffic, customer testimonials, mentions and shares on social media, indicating you are on the path to realizing your vision. Without constant communication, it’s easy for teams to drift off course; losing sight of your company’s vision. Team members will settle into their daily machinations, likely seeing it as just another task, no longer seeing the bigger picture. To help keep your company vision top of mind, leadership needs to be on point with their communication. Managers should be providing monthly updates via video chat, highlighting successes, praising team members for areas that they’ve excelled, and gently pointing out where improvement can be made. Have regular meetings and don’t forget to solicit feedback from your team itself. More than that though, show them that you take their feedback seriously. Work to implement their changes, when feasible. Providing training for your team is absolutely essential when it comes to boosting morale, and helping your workers to feel valued. As a bonus, it’ll also help to improve the quality of their output, helping to ensure that it’s up to standard –and ensuring consistency across the board. Be sure to provide in-house training, where you create a manual or guide for your team to follow or offer training via Skype. You may also want to encourage your team to grow their skills by seeking outside training. Depending on the size of your company, you may even choose to offer a reimbursement program, where part of their higher education costs is subsidized by the company. No matter if your team is 100% remote, or partially, you’ll want to work hard to ensure that their goals are aligned with your company vision. This will guarantee that everything your remote team touches, from customer emails to a new website, takes your vision from a board room meeting to reality. 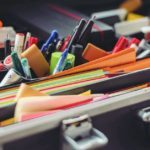 It starts with you communicating why your company vision is essential for success, and showing them how their daily tasks help to further that vision and fit into the bigger picture of helping the company to grow. When your team is aligned with your company vision, great things can happen. Remember: you’re all in this together, so work to show them that they’re valued and what they’re doing matters. Give your team the company culture they deserve, and in return, you’ll reap the benefits of a motivated workforce. Agree? Disagree? Share your thoughts in the comments!